This Try Dive in Havelock Island offers you a taste of the underwater life by diving into the turquoise blue waters of the Andaman Sea. If you are excited to cross off a bucket list item, but are a little short on time, this is the perfect diving experience. Completed in less than three hours, this trip offers a 30-minute long, 40-feet deep dive to explore the underwater aquatic life of the Andaman Sea. To prepare for this dive, you will undergo briefing sessions and scuba training in shallow waters. A certified diving instructor will accompany and guide you in every step of the dive. Please note this is a shore dive and does not involve a boat transfer to the dive spot. This is intended to save time and complete the trip in less than three hours. With mangroves extending out to the sea and tropical rainforests covering most of the land, the Andaman Islands are a popular destination for off-beat travellers and adventure enthusiasts. With one of the highest counts of coral fish in the world, the clear waters of the Andaman Sea have become a hotspot for scuba diving and many other adventure water sports. On this Try Dive trip, you will undertake a shore dive from the beaches of the Havelock Island and explore an incredible range of aquatic and natural beauty. • Go scuba diving in the azure waters of the Andaman Sea. • Explore depths of the Andaman Sea, going as deep as 40 feet to explore corals and marine life. • Enjoy a short experience of scuba diving in the most beautiful archipelago in India. A reasonable level of health and fitness is required to book the Try Dive in Havelock Island scuba trip. Please do not book this trip if you are pregnant or suffer from any chronic medical conditions. If you have any cardiac or respiratory conditions, or suffer from knee or spinal problems, please consult your doctor before booking this trip. Divers are required to adhere to the instructions of the dive instructor during the Try Dive in Havelock Island. Consumption of alcohol and narcotics is strictly prohibited during or before the trip. If intoxication is suspected, the tour operator reserves the right to cancel the trip without refund. Please allow 12 hours between your diving session and your return flight to allow your body to recover. Cancellations made on or more than 30 days before departure of the Try Dive in Havelock Island: 100% refund. 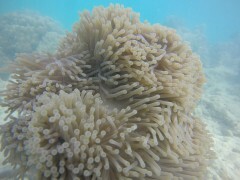 Cancellations made between 15 to 29 days before departure of the Try Dive in Havelock Island: 50% refund. Cancellations less than 15 days before departure of the Try Dive in Havelock Island: No refund. The tour operator takes utmost care to ensure safety of the travellers and shall not be held responsible for any mishap, accident or loss of life during the Try Dive in Havelock Island. Divers will receive a medical questionnaire after confirmation of the booking. If the answer to any of the questions is YES, divers will be required to provide documented doctor's clearance for scuba diving. This questionnaire is designed to inform diving instructors and allow them to prepare and create a personalized experience. The tour operator reserves the right to change or cancel the itinerary of this trip due to bad weather conditions to ensure maximum safety of divers and staff. There is no pick-up point for this activity. There is no drop-off point for this activity. Report to the dive center on Havelock Island by 08:00 hrs. You will meet your diving instructor who will conduct a briefing session to teach you the safety protocols and procedures while diving. Your training will continue in shallow waters where you can get comfortable with the diving equipment. When you're ready for the dive, you will undertake a 30-minute long, 40-feet deep shore dive from Havelock Island. Your instructor will accompany and guide you at all times. 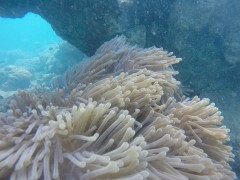 Spend some time underwater and admire the brightly coloured corals and aquatic life that swims the depths of the ocean. Swim back to the beach after the dive. Your trip ends here. Personal expenses like tips to staff, alcohol or beverages etc. The dive center is located on Beach #2 on Havelock Island. You can take a ferry to Havelock Island from Port Blair. Port Blair is connected to other major cities of India via flights to Port Blair's Veer Savarkar Airport (IXZ).